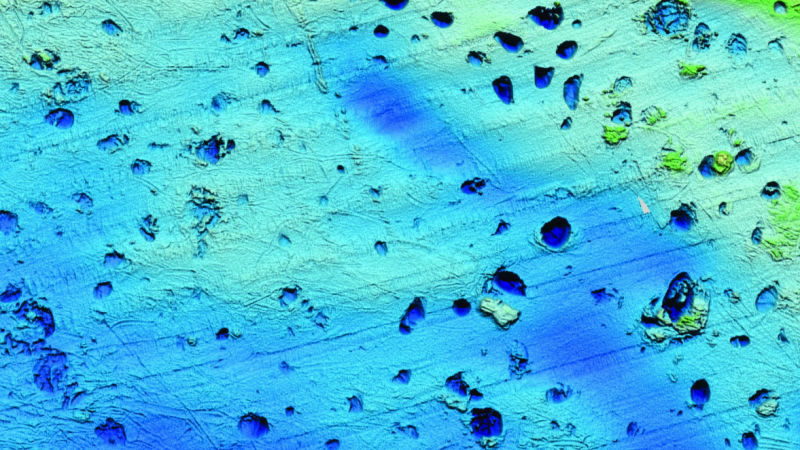 Researchers working in the Barents Sea have discovered hundreds of craters on the Arctic Sea floor, some measuring over a kilometer in width. These craters, which date back to the end of the last Ice Age, were formed when large reserves of methane exploded in the wake of retreating ice sheets. Around 12,000 years ago, the Barents Sea—an area north of Scandinavia—was covered by a thick layer of ice. When the planet warmed and these ice sheets receded, enormous quantities of methane trapped below were abruptly released. 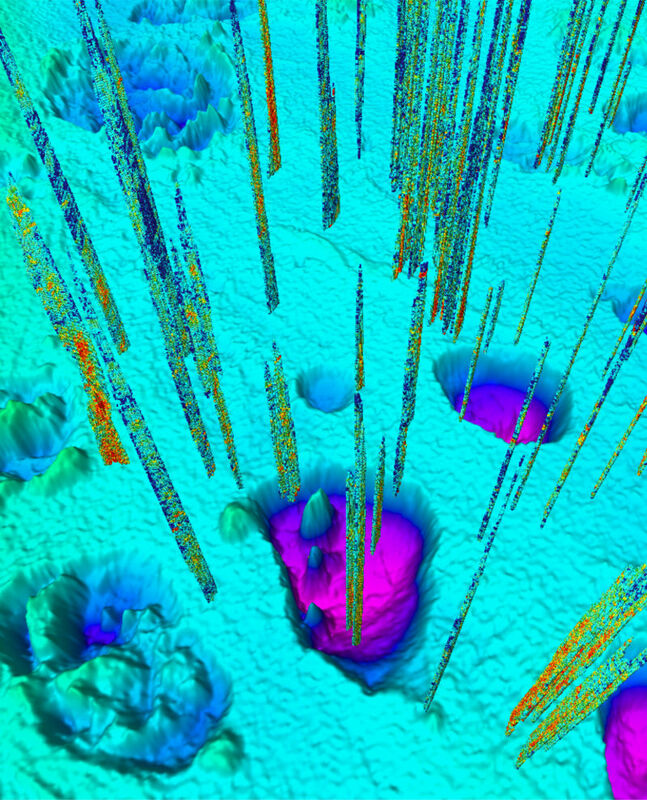 The result was a series of explosive methane blowouts that littered the seafloor with craters. The details of this finding now appear in the latest edition of Science. Today, these craters are still seeping methane, which is a concern to climate researchers. A colorless, odorless gas produced during microbial decomposition, methane is around 30 times more effective at trapping heat in the atmosphere than carbon dioxide. 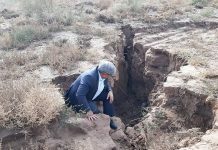 Moreover, the same geological processes responsible for the historic methane blowouts are still happening elsewhere in the world today, leading to speculation that methane explosions could amp up due to human-caused climate change. Methane mostly forms during the decomposition of organic matter by microorganisms at low temperatures, or by the breakdown of organic molecules at high temperatures deep beneath the Earth’s surface. The Arctic seafloor hosts a tremendous amount of methane, which is trapped as hydrates—an ice-like solid mixture of gas and water. Hydrates tend to be stable under high pressure and cold temperatures, and ice sheets offer an environment for subglacial gas hydrates to form. 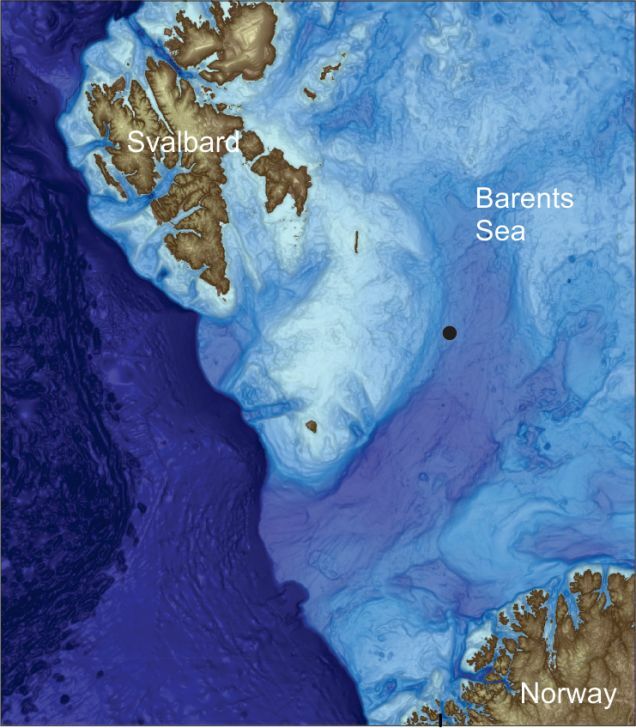 During the last Ice Age, a 1.62-mile-thick (2.6 km) ice sheet covered the Barents Sea. Under this ice, methane from deeper hydrocarbon reservoirs creeped upward, but this gas could not escape into the atmosphere. All this methane was stored as hydrate within the sediment, creating over-pressurized conditions. The explosive release of methane gas from subglacial sediments produced massive craters on the seafloor. During a recent expedition to the area, Andreassen’s team documented well over a hundred of these craters, which measured between 300 and 1,000 meters (980 to 3,280 feet) wide. 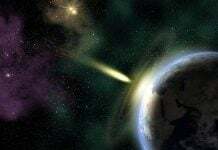 Hundreds of smaller craters measuring less than 300 meters wide were also observed, and the researchers identified more than 600 methane flares in-and-around the craters that are still spewing the gas, though at rates far lower than what transpired during the explosive phase. Some of these craters were identified in the 1990s, but new scanning techniques allowed the researchers to survey the seafloor comprehensively. 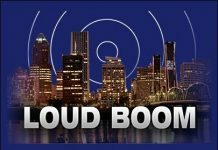 Importantly, Andreassen said similar blowouts could happen in the near future on account of climate change. Areas in front of retreating ice sheets in Greenland and West Antarctica could host underlying hydrocarbon reservoirs. These blowouts don’t happen very often, but their environmental impacts could be greater than the impacts of slow and gradual methane seepage, explained Andreassen. That said, it’s not clear if the abrupt and massive methane releases of the past reached the upper atmosphere. More work is clearly needed to understand the nature and power of these historical blowouts, and to assess their environmental impacts. The finding also points to the need to further study the potential reserves of hydrocarbons beneath the ice sheets of West Antarctica and Greenland. It’s important to point out that natural methane leaks aren’t exclusive to the Arctic. Last year, scientists mapped one of the longest active methane seeps on the planet from British Columbia to Northern California. Recent surveys have also documented hundreds of methane seeps along the Atlantic continental margin, and it’s assumed that thousands more could exist around the globe.